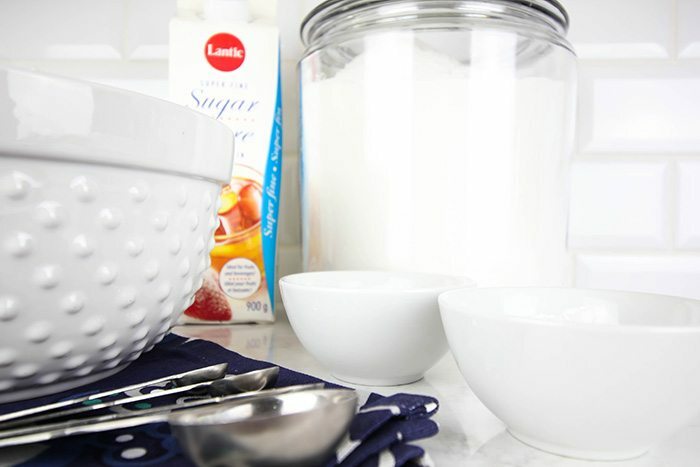 So here’s how to make your own DIY homemade cake mix! Mix together all the ingredients thoroughly and sift them as well. This makes about 4 1/2 cups or one full cake mix. 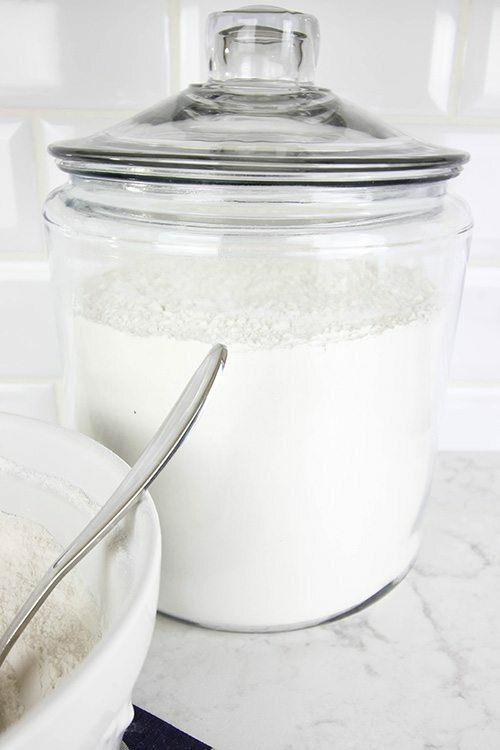 You can make this recipe a bunch of times and store each individual cake mix in a big mason jar or you can make a big batch by tripling or quadrupling the recipe and store it all together in a big glass jar on your kitchen counter. When you’re ready to make a cake, just measure out 4 1/2 cups of the cake mix and you’re ready to go! Bake your cake at 350 degrees. If you’re making cupcakes, it should be around 15-20 minutes. 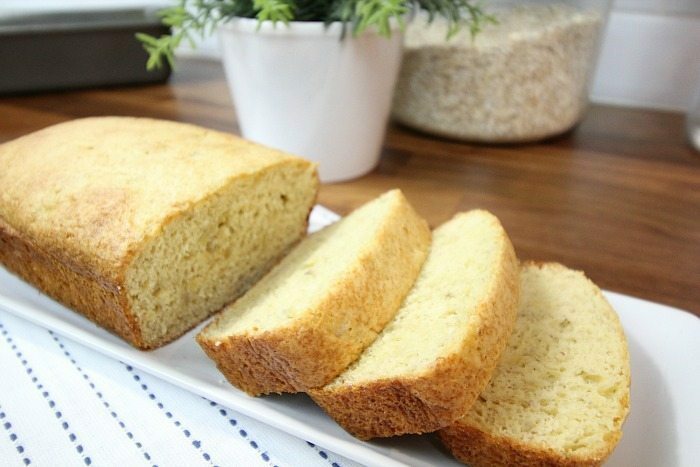 If you’re using round or square cake pans, about 30-40 minutes. 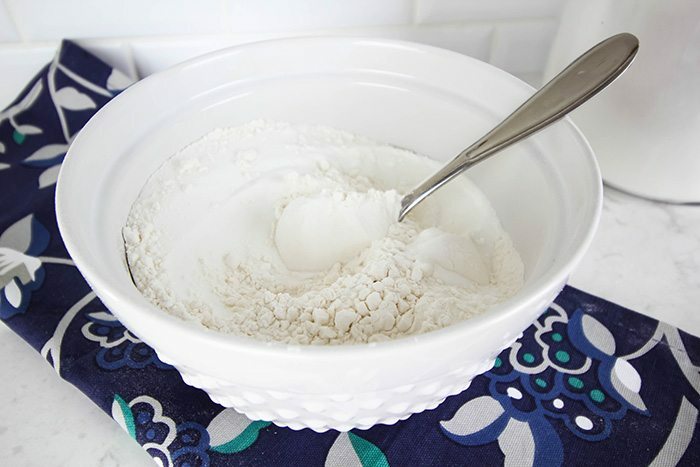 Have you ever tried making your own cake mixes? Great share! Now you can whip up anything you wish at any given moment! Thanks! I can’t wait to try this. Box mixes tend to have such strange ingredients list on the box. Thanks! Yay! Glad this one will come in handy for you, Joanne! Should be good for about 3 months! We definitely use it up a little more quickly than that though! Going to try this mix. Hi Maryjane! As I’m sure you know, gluten free baking can be a little tricky! I like to play around with alternative flours though, so I’ll try to come up with a good one that I can share! This sounds like a great mix to have around. Can I ask where you purchased the glass jar that holds your flour? Also, is it airtight? I’ve been going crazy looking for those jars that have a seal because most of them have a lid that just sits on top. Hi Amy! My jars are just the basic Anchor Hocking Heritage Jars that I picked up at my grocery store. They don’t have the seal but they seem to be pretty airtight anyway, the way the lid fits on. I use them for mixes like this, straight flour, sugar, oatmeal, dog treats, and all kinds of things. They seem to work pretty well for everything and they always look so nice and tidy! How many 6 inch cake layers would the mix (4 1/2 cups) make? Brilliant! Pinned. BTW the pistachio cookies came out great! Can you freeze the cake mix to last longer than three months?